Becoming a stronger player is every chess player’s dream. Since the day we step into the chess world we commit ourselves to an eternal quest for self-improvement. We all want the same. 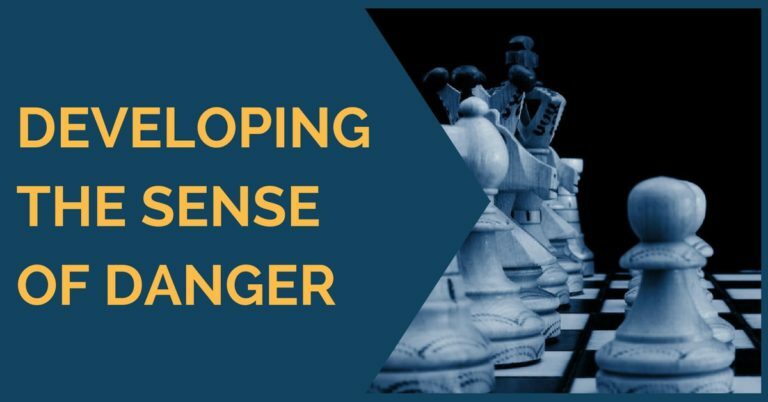 Of course, it doesn’t take long to realize that chess is an extremely complex game; it is not only the amount of knowledge you must acquire but you must also apply that knowledge move by move, taking one decision at a time. Another thing about chess is that you must shape your competitive character, have strong nerves and basically develop a strong personality in order to keep up the battle against your opponent for several hours. Many players lack this aspect and therefore never reach their goal, even though their chess ability was pure class. There are many factors that mark our improvement in chess and they can’t be measured on a fixed scale. Improvement works in different ways for every player. 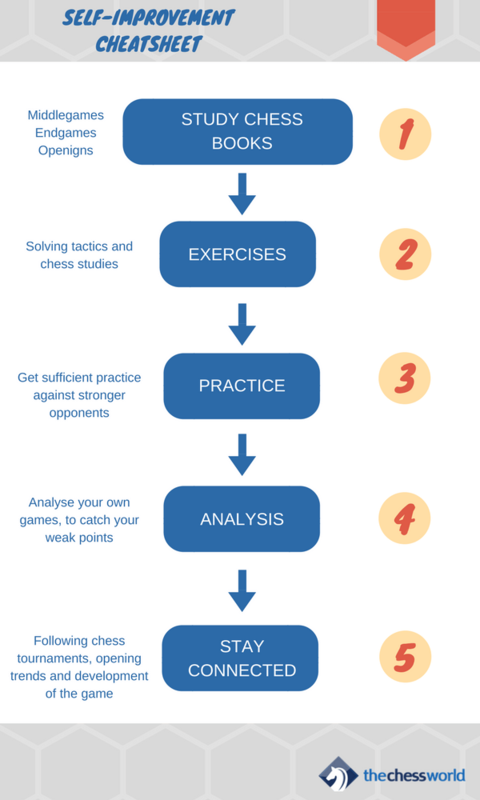 In this article, we will talk about how you can improve your chess skills without a coach. This is a quite intricate subject because first of all, we believe in the need of a good coach in order to improve. A coach is a source of experience; you can ask all your doubts, ask for the opening recommendation, books, historical games etc. You would be saving an incredible amount of time. However it is not ‘mandatory’ and many, many strong Grandmasters are self-made. In the end, it all comes down to the work one is willing to do. If you are willing to put a decent share of hours of work on chess nothing can prevent you from reaching your goals. The old fashioned way. 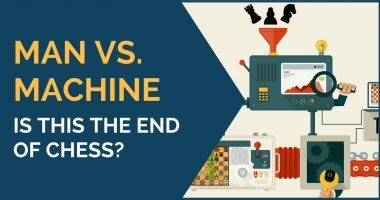 Study the books; there are plenty on middle game, endings, and openings. Start devouring them. We recommend you always resort to the books of famous players and trainers. For example, the books of Yusupov and Dvoretsky are a must read for every player, but also Dorfman, Nunn, Shereshevsky, Marin and so on. We also recommend going through a good collection of games by world champions. By studying the games explained by the author you learn to understand the process of decision-making. 2. EXERCISES – Of course! 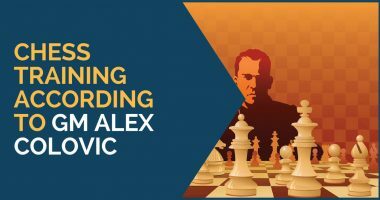 This is will be the important part of your training routine and will transform your chess strength. Not everyone does this because it might get boring or frustrating to set up the board and think; sometimes you might even fail to find the solution [Also check: tips on solving tactics]. However, the time you spend thinking and calculating moves does not go in vain, you are actually learning. Do not refuse an invitation to test yourself against an opponent. Try your skills every time you can. The nerves, the tension, all the external factors you experience during a tournament is also part of the player you want to become. This is very simple and has been said for ages, but who is doing it? At least, who is doing it right? Analyze your own games deeply. Don’t just run the engine on them but try to figure out new variations and check those you thought during the game but dismissed. Draw some conclusions and then go to the chess engine and see how far from the truth were you. This aspect should be taken seriously; if you’re working on your own then this must be one of the pillars of your training. Keep up to date with the latest tournaments as well as the latest opening theory. 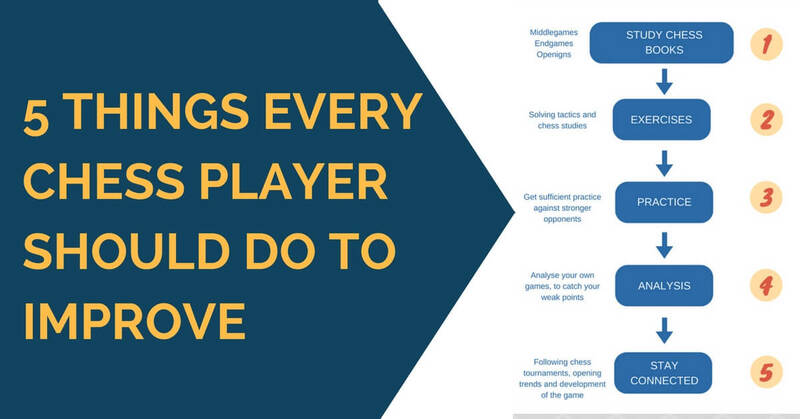 Nowadays this is very easy to do; you can be looking at games being played while you are at something else even from a smartphone.These 5 steps are an excellent way to keep improving; in fact (and take our word for it) there are players who do even less and still manage to keep floating above the International Master level. It is time for you now to test this method! Thank you for reading and as usual feel free to share your comments and thoughts with us. How to Improve at Chess for Adult Players? Hi hypersapien, simply right click on the image ->save as to save the picture for future reference!